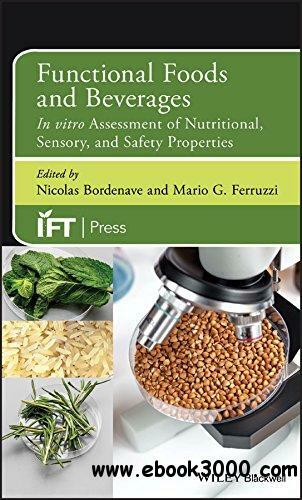 A much-needed guide to in vitro food functionality evaluation principles, processes, and state-of-the-art modeling There are more than a few books devoted to the assessment of food functionality but, until now, there were no comprehensive guides focusing on the increasingly important subject of in vitro food evaluation. With contributions from the world's foremost experts in the field, this book brings readers up to speed on the state-of-the-art in in vitro modeling, from its physiological bases to its conception, current uses, and future developments. Food functionality is a broad concept encompassing nutritional and health functionality, food safety and toxicology, as well as a broad range of visual and organoleptic properties of food. In vitro techniques bridge the gap between standard analytical techniques, including chemical and biochemical approaches and in vivo human testing, which remains the ultimate translational goal for evaluation of the functionality of food. Although it is a well- established field, in vitro food testing continues to evolve toward ever more accurate predictions of in vivo properties and outcomes. Both ethical and highly economical, these approaches allow for detailed mechanistic insights into food functionalities and, therefore, a better understanding of the interactions of food and human physiology. Reviews the core concepts of food functionality and functionality evaluation methodologies Provides an overview of the physiology of the gastrointestinal tract, including host-microbial interactions within it Delves into the physiology of sensory perception of food, taste and texture as they relate to in vitro modeling Explores the challenges of linking in vitro analysis of taste, aroma and flavor to their actual perception Addresses in vitro models of the digestion and absorption of macronutrients, micronutrients, and phytonutrients Describes in vitro evaluations of toxicants, allergens and other specific food hazards Functional Foods and Beverages is an indispensable working resource for food scientists as well as researchers working in government facilities dedicated to tracking food safety.